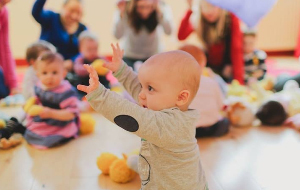 Sharon Burbidge I was first introduced to Jo Jingles back in 2000 while living in Windsor, Berkshire where I took my then 2 year old son, Harry, to a local class. Harry loved his class each week but I think I loved it more! Music has always been a very big part of my life and when I moved back to Northern Ireland I decided to buy a franchise and bring the very first Jo Jingles classes back home. Combining my marketing degree with my experience in theatre, dance and drama I felt Jo Jingles was the perfect job for me and knew it could be a huge success in Northern Ireland. Sixteen years on I am now working alongside my first class teacher, Debbie, who joined me in January 2001 and who is now my partner in the franchise. I still love teaching classes and believe that Jo Jingles has something very special and valuable to contribute to a child's early years. 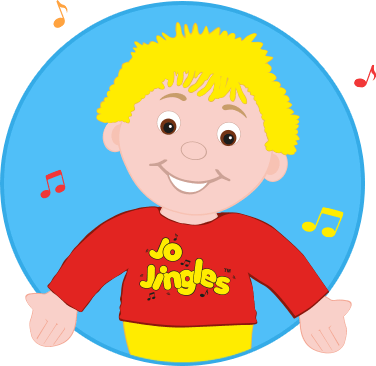 I attended the very first Jo Jingles class in Northern Ireland when I took my son Robbie along to see what this singing and dancing experience was all about. By the end of the first class I knew I had found a very special activity that I would be able to enjoy with him and also bring many of the songs and actions home to be enjoyed in the house. I was so hooked that after 6 weeks I asked Sharon if she would consider taking me on as a class teacher. Thus I went from a background of lecturing ‘Honours level – Chemistry’ to singing nursery rhymes with children. And I know where I had my more appreciative audience! How lovely it was to see very shy children blossom and gain confidence while encouraging the more exuberant children in the class to take turns and share in a calmer way. After 6 years I became Sharon's business partner and we very much enjoy working together on Jo Jingles. We both contribute to running our classes with mums in various venues and working in private day nurseries and nursery school units. Sharon brought Jo Jingles into our nursery (Rathcoole Nursery Unit, Northern Ireland) once every month for the full school year. 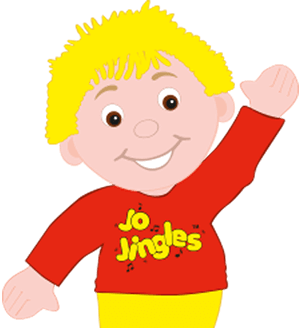 Sharon brought Jo Jingles into our nursery (Rathcoole Nursery Unit, Northern Ireland) once every month for the full school year. Her visits soon became a highlight for the 53 children. Before long Jo Jingles was permeating every aspect of the nursery curriculum. It encouraged the children in the development of their physical skills, listening and language skills and self confidence. Further more the use of Jo Jingles raised the self esteem of even the quietest most withdrawn children. Most of all such a positive impact on our nursery was achieved in an atmosphere of fun and enjoyment for every child and, of course, the staff! Sharon, thank you for your hard work and for making such a difference. I suppose in some ways I may be seen as a bit of a 'rare breed' as a dad whose privilege it has been to go along to JJ's each week with my son Ben. Thankfully i have never felt like that or been made to feel like that as has progressed through from the baby, 1-2's and now the 2-3's class. Ben just loves going along each week and it has been great to see the benefits of the structure, talking and listening, participating as part of a group and of course the musical activities and the positive impact they have on him. Now as he plays he 'makes' his own instruments and has his own band called 'Bandy Band' - watch this space! The foundations laid through Jo Jingles, and especially the fantastic work and input of Debbie, will always be of benefit to Ben and I can only sing (no pun intended!) the praises of Jo Jingles. We are planning on our daughter Katie starting in September so that she can have the same benefits that her big brother has had through the provision of Jo Jingles. I have 3 children aged 5, 3 and 1 and started going to Jo Jingles when Lauren, my eldest, was 15 months. I have 3 children aged 5, 3 and 1 and started going to Jo Jingles when Lauren, my eldest, was 15 months. Debbie who led the class was full of infectious enthusiasm. Having attended all age groups, i have been impressed by the organised approach to JJ with stepwise progression in learning, continual addition of new resources whilst not forgetting favourites and also lots of fun. It has definitely helped concentration, listening, confidence and speech. 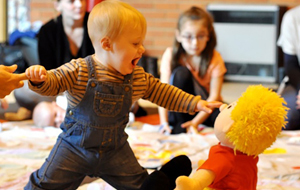 Debbie is fun, enthusiastic, reliable, well organised and respects each individual child without favouritism and conducts every class in such a professional manner and i am delighted that all of my children have experienced JJ. My only concern is what comes after 3-5yr classes?! 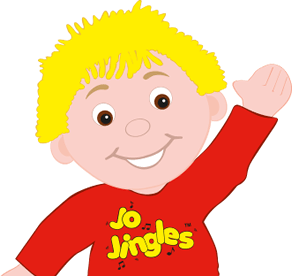 I have a young son, Tom, who has been going to Jo Jingles classes from when he was 4 months. He has progressed through Babies, 1-2's and is currently in 2-4's. The primary reason that Tom is still attending these classes is because it is FUN!!!! and ENJOYABLE!! Tom and i both love the format of the classes. They are well structured and as we all know young children thrive on structure, routines and boundaries. Tom loves the weekly classes and he sees Jo and Debbie as his personal friends. He has his own Baby Jo, who is part of our family (and even goes on holiday with us). The DVD was the best invention ever!!! I have had to purchase two - one for home and one for Nannie's house!! Tom will stand in front of the TV, oblivious to everyone and follow all the actions. It is superb to watch. Another reason that i have continued with the classes is the social aspect of the classes. The classes are great for his self confidence and self esteem. I also have the experience of having Jo Jingles in my work place. I can therefore see the strong developmental structure of the classes and will be delighted when Tom comes to school next year and is able to continue the classes with the final stage. I am so glad I took up this wonderful opportunity for my son to gain so much confidence, independence and a genuine love for music, rhythm, beat and songs.